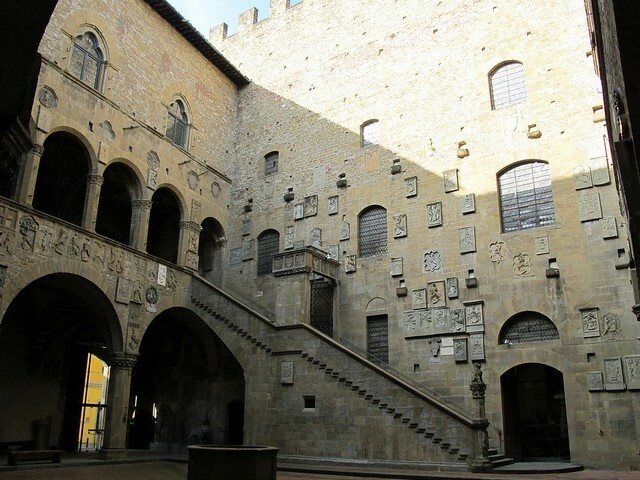 Tour main features: During our guided tour of the Museum of the Bargello, we wander around in the rooms of the old prison of Florence, the ancient seat of the Captain of the People. Crossing the medieval courtyard, a place of pre-existing gallows, we reach the main rooms, which now house the undisputed masterpieces of Donatello and Michelangelo. We are talking about the Donatello’s David and Michelangelo’s Bacchus! 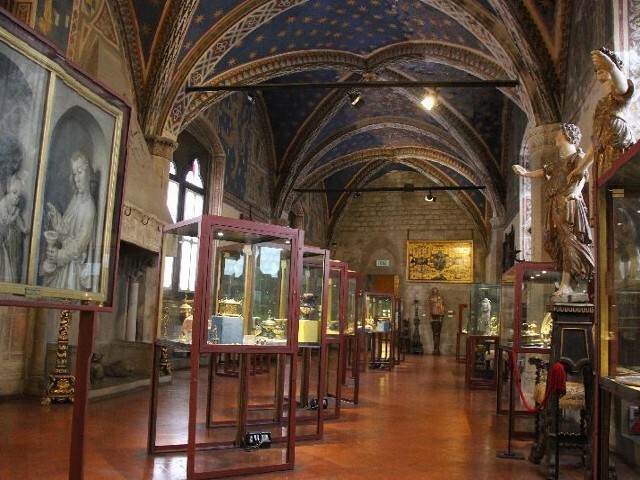 The Bargello Museum houses several works of the two masters of the Renaissance, as well as world-famous statues by Ammannati, Giambologna, Cellini and the frescoes by Giotto in the Chapel of the Magdalene. 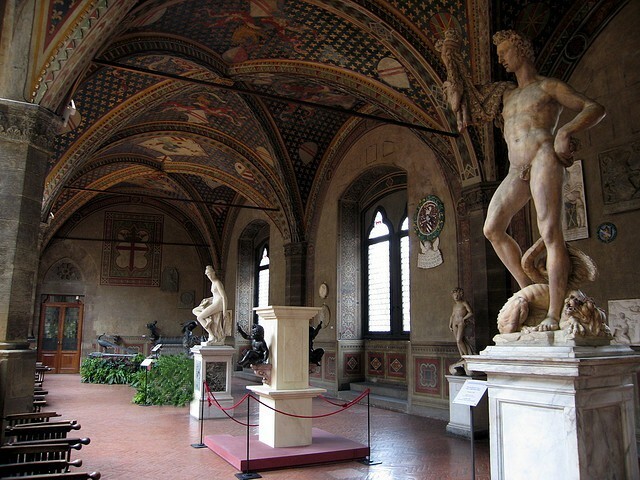 Besides all this, we will visit the room with the David of Verrocchio and the Lady of the Bouquet, collections of Della Robbia ceramics, ivories, applied art and medals.